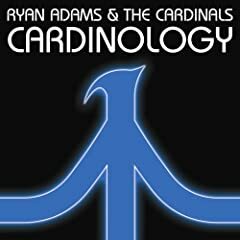 Ryan Adams and the Cardinals release Cardinology this week. I'm hoping this album is a grower, I found myself fast-forwarding through much of the album on the first couple of plays. From my ever-growing promo pile I can definitely recommend Arthur Russell's Love Is Overtaking Me (a collection of unreleased songs), Bloc Party's Intimacy, Crystal Stilts' Alight of Night, the Darling Downs' From One to Another, Deerhunter's Microcastle, Larkin Grimm's Parplar (my favorite release of the week), Marykate O'Neil's mkULTRA and Lovedrug's The Sucker Punch Show. Hank Williams' The Unreleased Recordings is definitely on my shopping list, along with The Ry Cooder Anthology: The UFO Has Landed. Vinyl reissues abound this week, especially from classic acts like Queen, Jimi Hendrix, Roxy Music and Wings. Fans of the writer Hunter S. Thompson will want to check out The Gonzo Tapes:The Life and Work of Dr. Hunter S. Thompson, a 5-CD box set of recordings by the author. For your holiday mixtape needs, Garage Band Christmas - Volume 1 looks interesting.